They Get The Word Out... Can You Say The Same About Your Press Release Distribution Services? They Get The Word Out… Can You Say The Same About Your Press Release Distribution Services? We all like free, right? We all like that when we can have our cake and eat it too. Where do you start when it comes to marketing and writing a press release? First things first, you must know your audience. If you don't know who you're talking to, you might as well just quit while you're ahead because you won't have any success. Knowing who you're audience is will give you the ability to write with the proper style and write for the proper newtwork. But enough with how you will write your press release, let's talk about the nitty gritty. So how will you get free press now? With the help of Ali Mirza, the CEO and Founder of iSocialYou. This guy will give you the knowledge that you need to not only utilize your skills to get press for free now and to also utilize the nitty gritty. Now for the nitty gritty. Welcome to PR.com. Thank goodness for this awesome site that will give you what you need without hunting the web or going all over the place to get and give the proper information for your press release. Create an account today for free! On PR.com you are able to distribute your press release. They will distribute your press release out to all those subscribed to their site for FREE. This is awesome in itself having this ability to have your press release distributed to all of their vendors. Other than press releases, there are also trending articles that allow you to see what is going on in the world. These articles are related to anything from romance to business. They are usually informative articles that will let you know what's what. There is a tier of pricing that gives your the ability choose a package that fits what you want and can fit your budget, thanks to pr.com you're able to easily choose which package you want. Each option comes a description of what you will tell you what you get with each price option making it easy for you to choose which distribution service you would like to select. Ok, so you read that right… FREE. Free of charge to distribute your press release for the pr.com world to see. 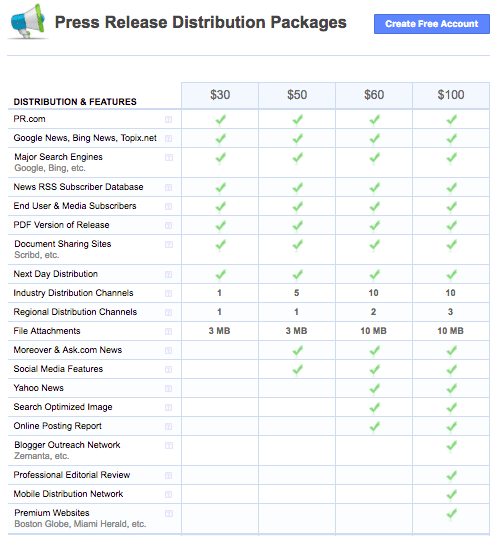 The only disclaimer with the free distribution through pr.com is that they reduce the distribution to search engines, pr.com, third party and news sites, and RSS feeds. 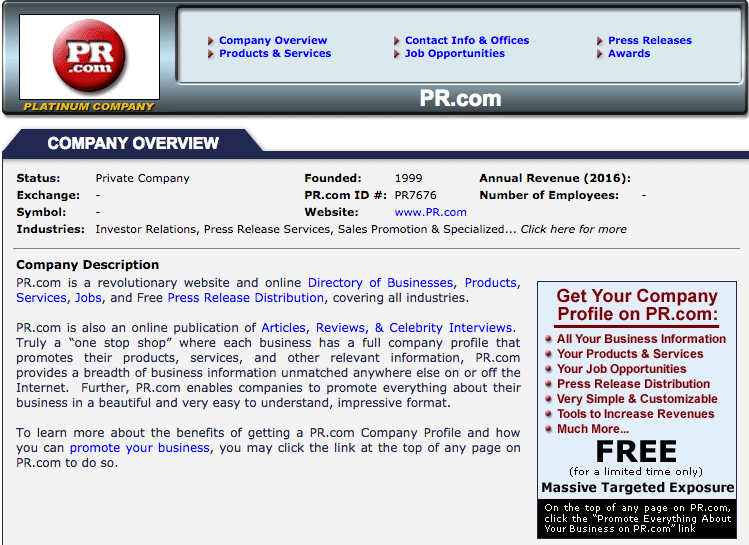 PR.com even has a business directory. You can see a list of businesses that have opted to participate with the pr.com's site. This directory is amazing as it give you information about businesses you didn't even know you were looking for just by typing in a keyword! Looking for a job near you? No problem, pr.com has you covered. You've got nothing to worry about when it comes to searching for a job. You'll be able to find a job by filling in your location, a keyword of what you are looking for, and selecting a category. Voila! There you have it, jobs available for you at your fingertips. 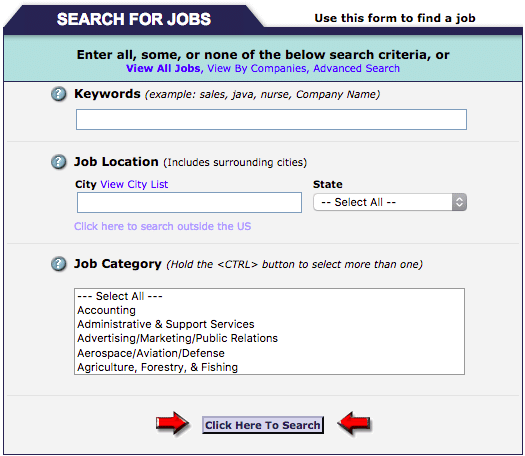 Not only can you search jobs, but you can also search products and services too. Their search tool allows you to differentiate between searching for products and services, just products, or just services. You just type in a keyword, select the industry the keyword is related to, and hit search. You've got the answers right at your fingertips. So you remember how I said that there was a business directory? Well, with those business directories, there is also an online profile that allows you to share the knowledge about your business. And by knowledge, I mean all the information that you need to know. If you invest in this great benefit, you'll get to advertise when your company was founded, how many employees you have, your yearly revenue, and a ton of other information. Utilize these tips and tricks to not only get your free traffic now, but also distribute your press release, look for services and products, or for jobs. These two tips may change your life. Utilizing both these tips will not only save you money, but they will save you time too. You've got two great tools to help your business, use them! 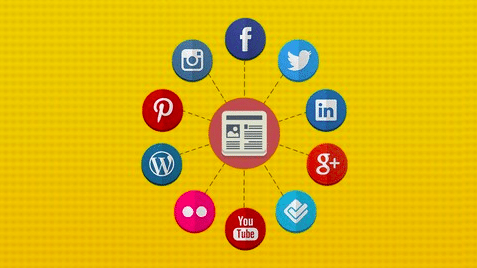 You'll be a pro at press releases and you'll get the media time you want and need.